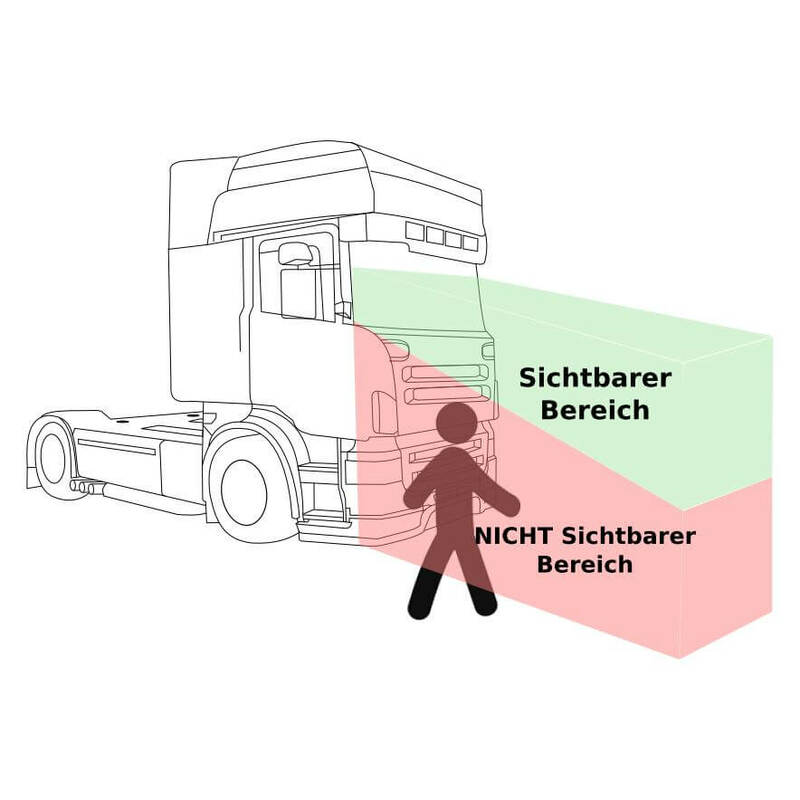 Lorry blind spot assistant - This system can save lives. Have full control and above all the full overview of your truck. When turning or changing lanes, the system monitors whether other vehicles, cyclists or persons are next to your vehicle and indicates the danger by a flashing LED and a clearly audible warning tone. Not only do you change your point of view, but in the worst case you can even save a life. 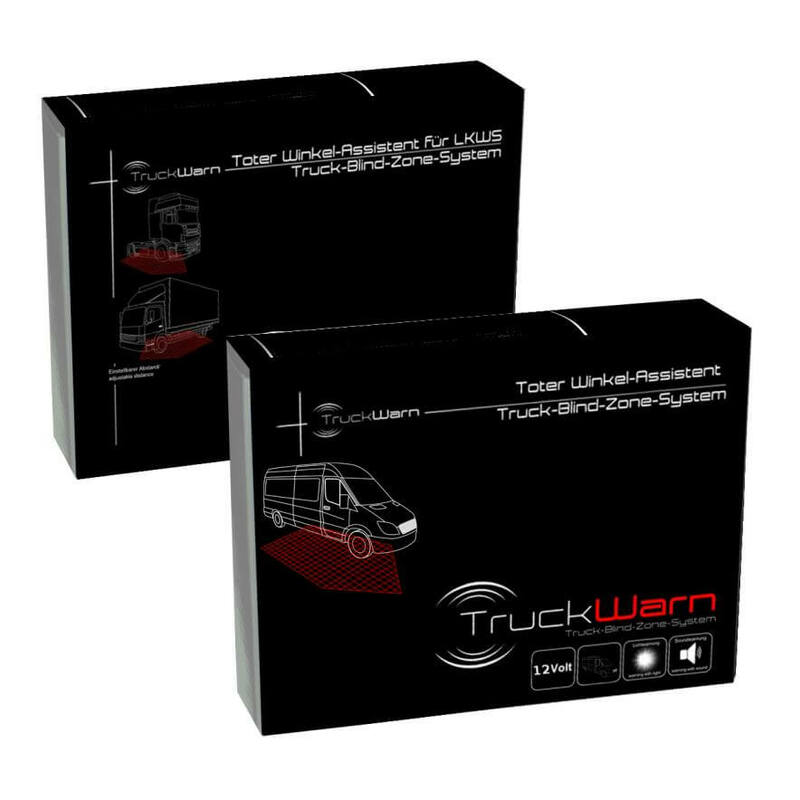 This truck blind zone system monitors the "blind spot" next to the truck or van and effectively prevents accidents when turning or changing lanes. 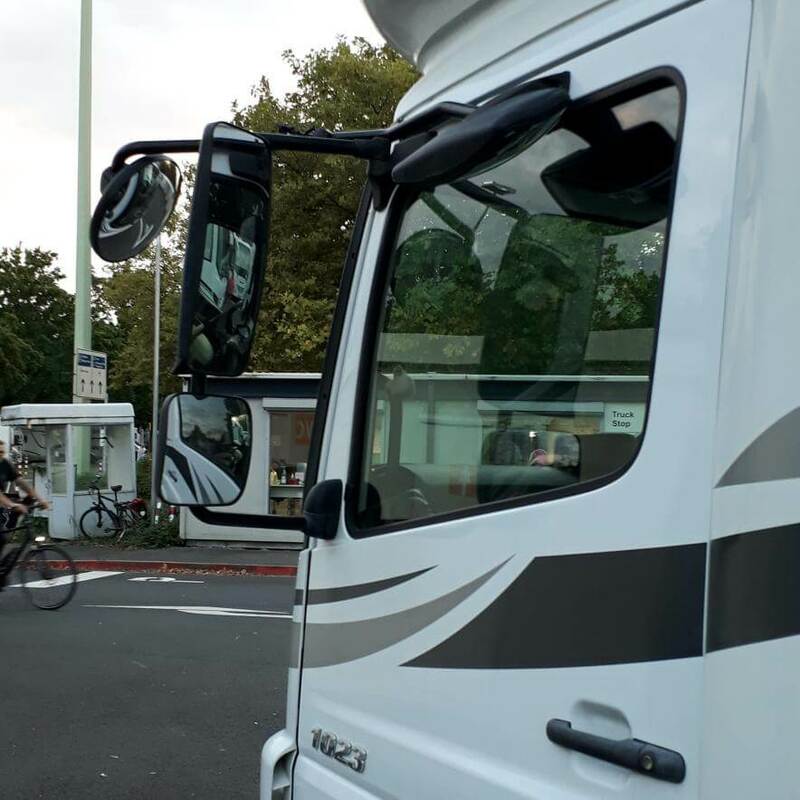 The side scan system recognizes cyclists, vehicles or even persons next to the vehicle and signals them with an LED or additionally warns with an alarm tone if someone is in the danger zone. The 4 side sensors monitor the area that you as a driver cannot or only partially see via the mirrors and thus helps you to get a better overview of your vehicle, even if it is necessary to overcome unclear junctions. 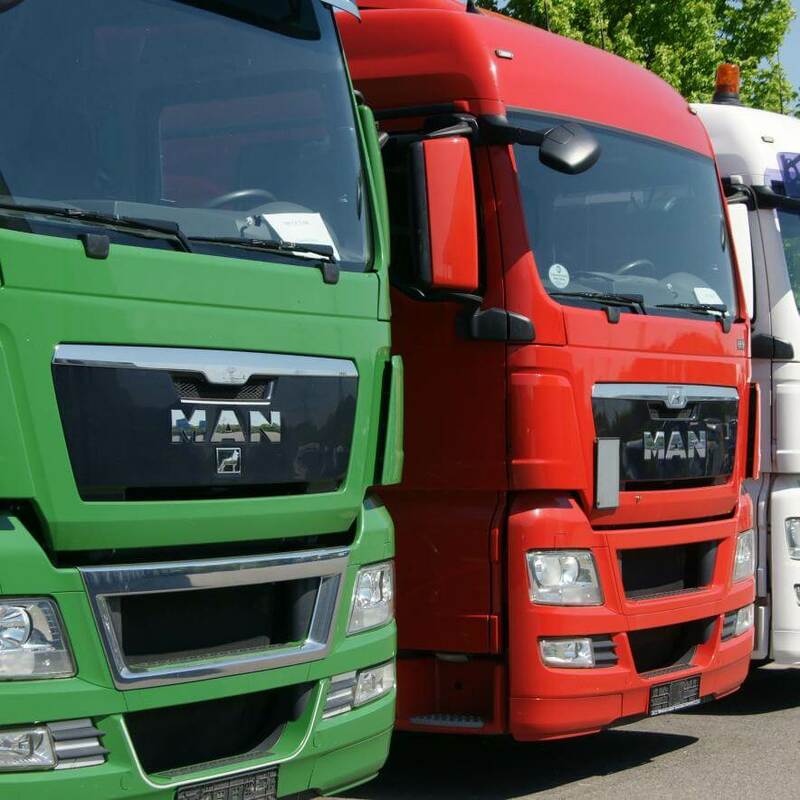 The side scan system was specially designed so that it can be retrofitted in all types and designs of trucks and transporters as blind spot system. 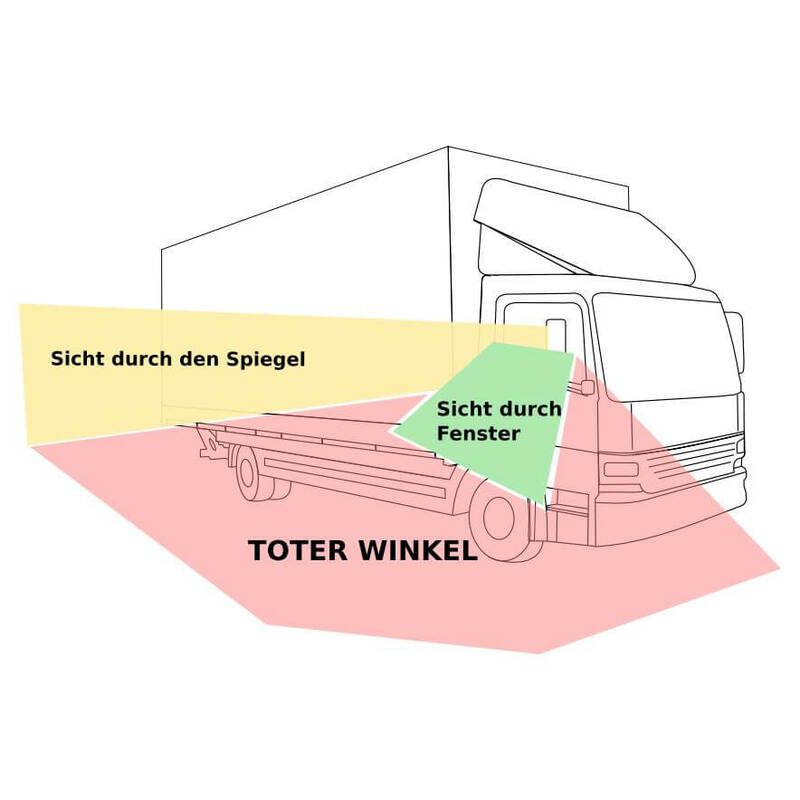 The blind spot sensors can be adjusted in height and distance to the vehicle conditions in order to optimally cover the blind spot next to the truck. The cable lengths have already been selected so that they are optimally designed for most trucks. However, the sensor cables can be easily adapted to the required lengths. Depending on the vehicle design or even with special superstructures, the optimum space for the sensors can thus be determined. The sensors can be mounted directly in or on the bumper, plastic covers, underrun protection or wheel covers. Special sensor metal holders are available as an option for surface mounting. The Truck Blind Zone system is easy to retrofit to any vehicle. The sensors are activated via the flasher unit and the brake light or can also be permanently active. 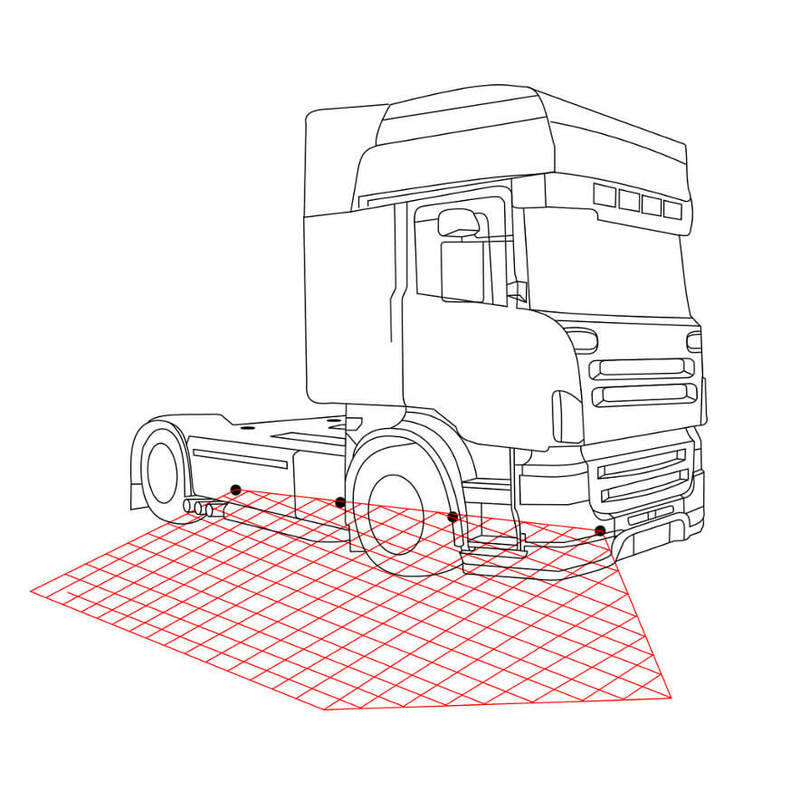 The Truck Blind Zone system has been specially developed for trucks with a 24Volt vehicle battery. 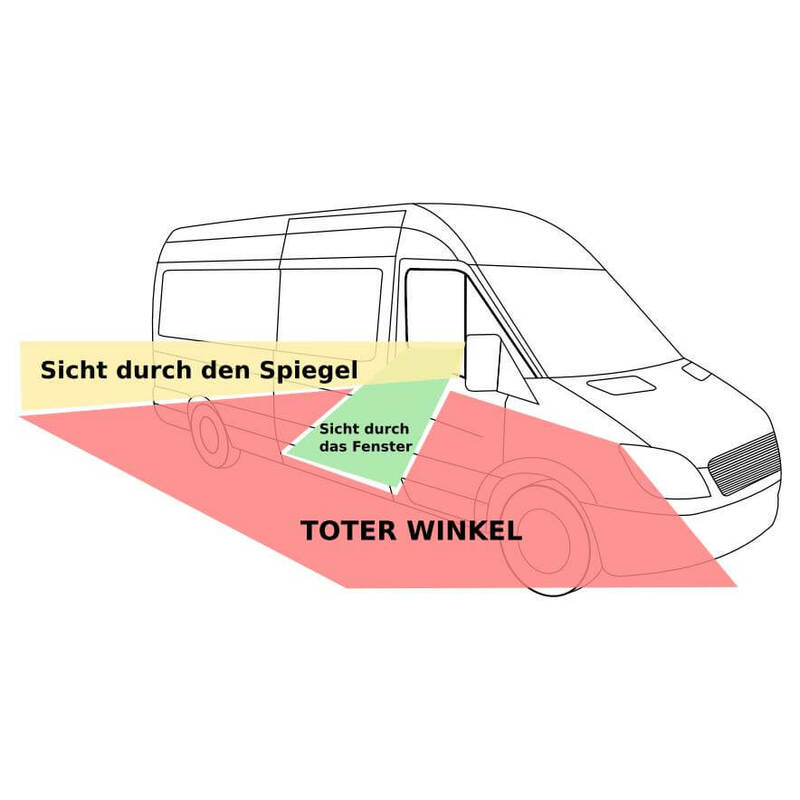 Alternatively, there is the same system as the "Truck Blind Zone System-12V" for vans, sprinters, panel vans and small vans with a 12-volt battery - whether as a panel van, platform or with a special body. The 4 sensors are mounted on the passenger side. The main sensor is used to monitor the area directly in front of the vehicle, which is currently being monitored at pedestrian lights is a big help. The three other sensors monitor the area of the "blind spot" which is difficult or impossible to see through the side mirrors. The sensors detect whether there are cyclists or objects such as side limits right next to your vehicle. The LED indicates possible dangers up to 1.50 metres away. If there is something in the main warning area (adjustable to 50cm or 100cm), an additional warning tone is emitted. A total of four sensors are used to monitor the blind spot. The sensors detect a range from 0cm to 150cm next to the vehicle and can distinguish up to 3 warning zones and thus 3 warning levels. Depending on the design of the vehicle, the sensors can be mounted at different heights and at different distances from each other. The sensors can be inserted directly into the plastic apron or the side wall. Where the sensors cannot be inserted into the housing or plastic parts, our separately orderable mounting brackets are helpful. The sensor holders can be used optimally to mount the sensors e.g. under the vehicle body box or on/under the underrun protection and thus use the optimum space for the side sensors.